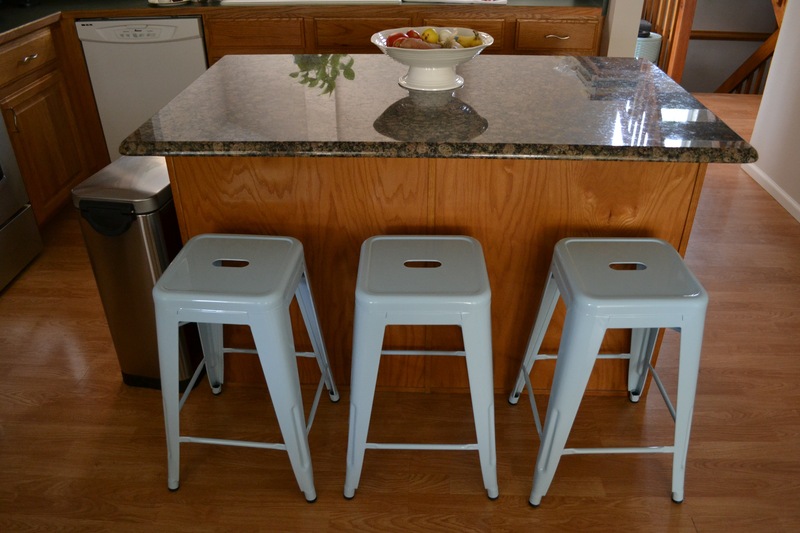 I bought some knock-off kitchen stools. Well, they are genuine stools, but they are not genuine designer stools. Design Within Reach is not within my reach, but I am quite pleased with these pseudo-Tolixes. Apparently, I only buy blue seating these days. I’m not really sure how that happened. 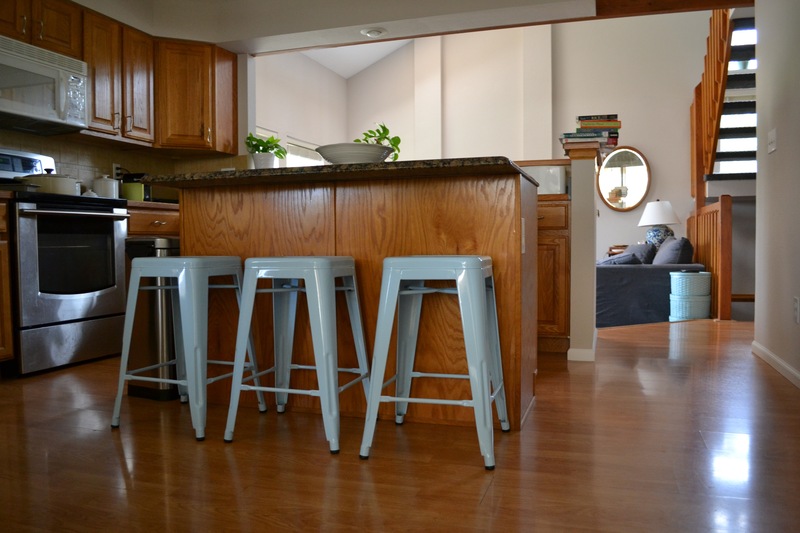 Actually, I know how just how it happened here: these stools came in several colors, but the galvanized-finish ones didn’t have great reviews. 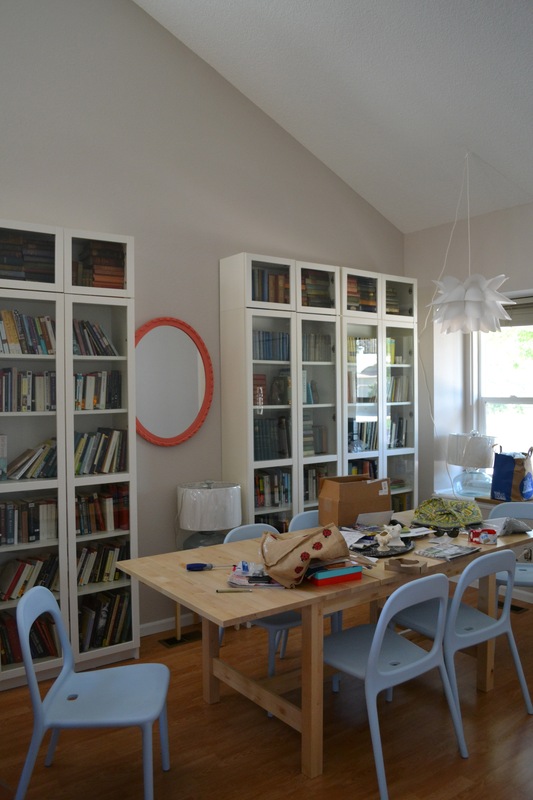 The white ones, which would have perhaps been a saner choice, weren’t in stock in the right height. That left tangerine, red, blue, and limeade. Our countertops are forest green (except for the granite island). Limeade and forest seemed like overkill. Red and green seemed a bit too festive. Tangerine and forest is just alarming. Blue doesn’t match either, but I’ve decided to embrace clashy in the name of just adding in accessories that I like, regardless of how they blend with the rest of it. The appliances don’t match each other anyway.